Are you ready to take your life AND your business to the next level? Are you ready to design and live the life of your dreams? 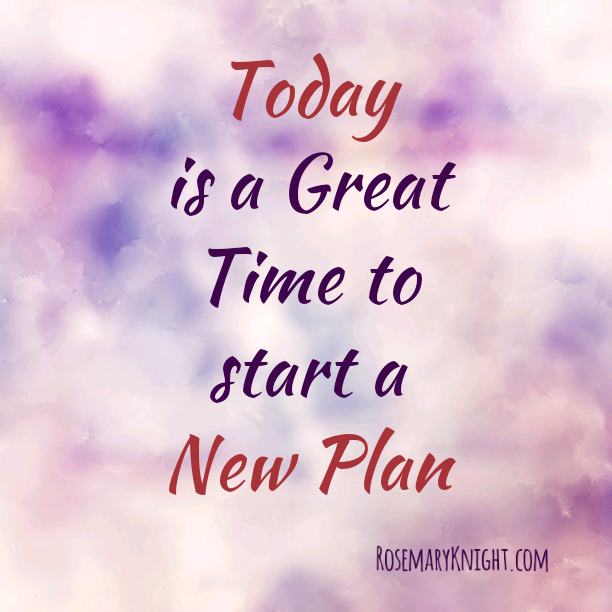 I am Rosemary Nonny Knight, the founder of Mum in Business Consulting Services and I am here to assist you in designing the life and business that you want. After 6 years of working as a qualified self-employed Pharmacist and building a successful business contracting myself out to manage and maximise profits in retail stores whilst taking care of the health of my patients, I became a mother and decided it was time to create a life that allowed me to stay home and educate my children whilst still generating an income doing something I enjoyed. At this point, though a professional, some bad choices had led to me being in serious debt. My credit was shot, my confidence in pieces and I was convinced good things only happened to other people. From the depths of my despair, there was still a little voice telling me my dreams were not for nothing so with trepidation in 2010, after giving birth to my final princess, I decided to start property business. I got coached and mentored and chose to take immense action. Everything changed. I have stopped practicing as a pharmacist having become financially free. I won a Porsche as a result of building my property business and winning business of the year. I am living the live of my dreams where I am assisting other people in starting their life design journey and I do it around my family life. I get results out of you. I am the ‘Take Action’ Success Coach. Rosemary coached me for 4 hours and I went out and did it. I had this fear of ‘what if it does not work’ which she helped me to break. She is awesome. Those of you who want to do business but have worries about the unknown, I strongly recommend her if you want to succeed quickly. There are a few tiers of Mum-in-Business coaching and they are all powerful and will ensure you get the results you are looking for. Do you want to power through to great results then this is the level for you? You have experienced the power of a one- to-one chat with Rosemary and you know that there is more where that came from. Already, you are starting to see clarity in your circumstances and you know there is hope for more. Imagine what 6 months of regular coaching/mentoring conversations can achieve for you. With this program it’s all about progression and taking consistent action towards your revenue and lifestyle goals. We will start out by getting right to the heart of your unique challenges by giving you a clear direction, immediate action steps and tangible outcomes to focus on. We run these sessions in a way that suits the way you work and learn. We will progressively focus on giving you a clear path to launching your product or service or levelling up your current business! Watch out for the exclusive Facebook Group which you will become a part of where you can get answers as well. What level of Success do you want? OK, are you based in the UK? Prefer to get great results and meet up with me person to person. Want the chance to meet in a lovely location where you can get away from the normal rigours of life and just focus in on you for a blocked period of time? This is for you. Treat yourself while investing in your success. This is a half day or full day session. You choose what works for you. This can be considered level 1. You have some pressing issues and want to carry on where we left off during the initial session, You need accountability, you need support and you need encouragement. You are not yet a high flyer financially. That’s okay, we all start somewhere. 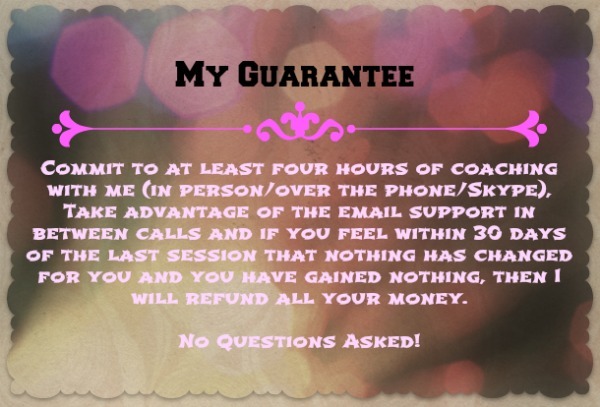 Listen, I have created this level to allow you access to coaching with me whatever your current financial constraints. Needless to say, I intend to get you to the next level quickly so this is not a long term support solution. However, it is here if you need it. I have listed it at this price for a very temporary period so take advantage while it remains. This demands honesty from you. When sending me an email, I need you to grab your truth from within so that we can work on the real issues quickly and move you forward. In order to make this accessible, there are various ways to make your investment in your future. It can be received via Paypal (below), Bank Transfer, Western Union or MoneyGram.